Doug has had an integral role in the tank trailer industry for more than 40 years, providing leadership in a range of areas, including sales, operations, production, marketing, new product development, lean manufacturing and global sourcing. He has held CEO and executive leadership positions with numerous manufacturing companies, guiding them through acquisitions and driving growth. Doug holds a bachelor’s in Mechanical Engineering from General Motors Institute and an MBA from University of Western Ontario. Jeff has been working in the transportation industry for more than 20 years and brings extensive experience in operations, business transformation, and product and organizational development. Prior to joining EnTrans, he was Vice President of Operations at REV Group, a sister AIP-owned company. Jeff holds a BA in Business Administration from Augusta University, an MBA from the Indiana University Kelley School of Business and is a Certified Lean Six Sigma Black Belt. He was named Senior Vice President of Operations in 2019. Specializing in leading organizations to deliver rapid growth, improvement and sustainable results within highly specialized environments, Randy brings more than 30 years of manufacturing and transportation industry experience. Many of those years were spent at Polar Tank, where he served as president for nearly 9 years. He focuses on leveraging his expertise in engineering, business development, sales and general management to achieve goals. Randy holds a bachelor’s in mechanical engineering technology from Purdue University and an MBA in marketing from the University of St. Thomas. He has been senior vice president since 2016. SVP, CFO, EnTrans International, LLC. Brad has over 30 years of experience in the tank trailer manufacturing and fabricated equipment industries. His background includes leadership roles in private, public and private equity-owned businesses serving multiple industries. He brings a broad business perspective developed through experience in both financial and operating management positions. Brad has been involved in the acquisition, integration and optimization of multiple domestic and international businesses during his career. He is a CPA and holds a BBA-Accounting degree from the University of Wisconsin – Eau Claire and a MBA degree from University of Wisconsin – Milwaukee. SVP H.R., EnTrans International, LLC. 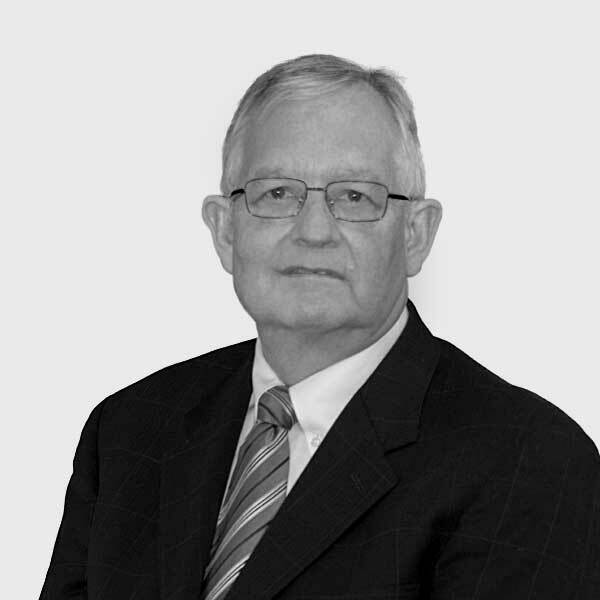 John has built his expertise in many specialty areas of human resources, including environmental health, safety management, training and lean manufacturing, over the last 25 years. He has applied his experience to mergers and acquisitions, business divestures, employee engagement and much more. John holds an associate’s degree in machine tool technology from Wallace College, a bachelor’s in human resources from Faulkner University and an MBA in business from Baker University. He became senior vice president in 2016.